Monthly subscription boxes are hot. There seems to a be a monthly subscription service for everything. 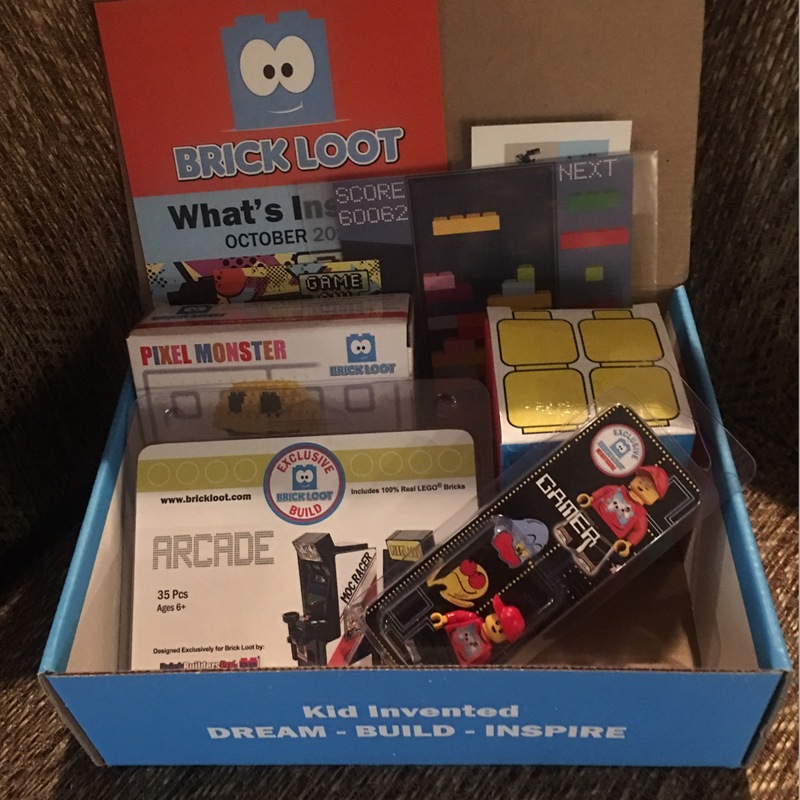 Brick Loot is a monthly subscription service geared towards brick lovers. Each month a box full of brick building projects will arrive on your doorstep. We just received our first monthly box and can’t wait to get to building. When I first opened the box I was surprised by how much was included for a low monthly fee of $27.00 a month. The more month’s you prepay the lower the monthly price. You can get a 6 month subscription for $24.95 per month. This month we received 4 sets of various brick products, a piece of art and some directions on how to make various projects with the bricks we received. 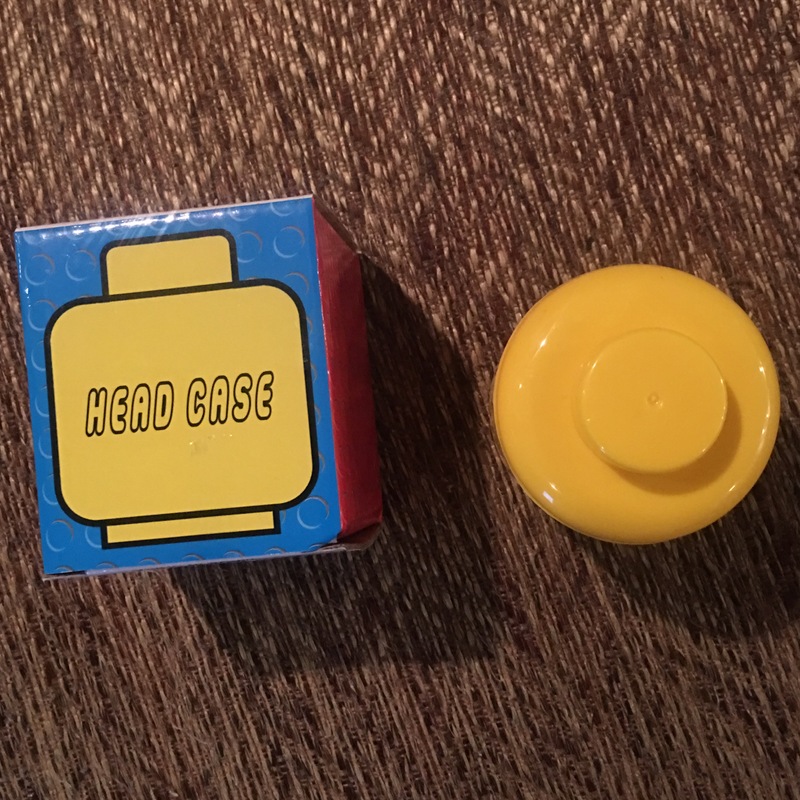 I think my favorite item in this month’s box was the head case. It’s a case to hold all the heads from characters! This will really come in handy. The case looks like a giant head and the top pops off. It did take a little work to get the top off, that good and bad. 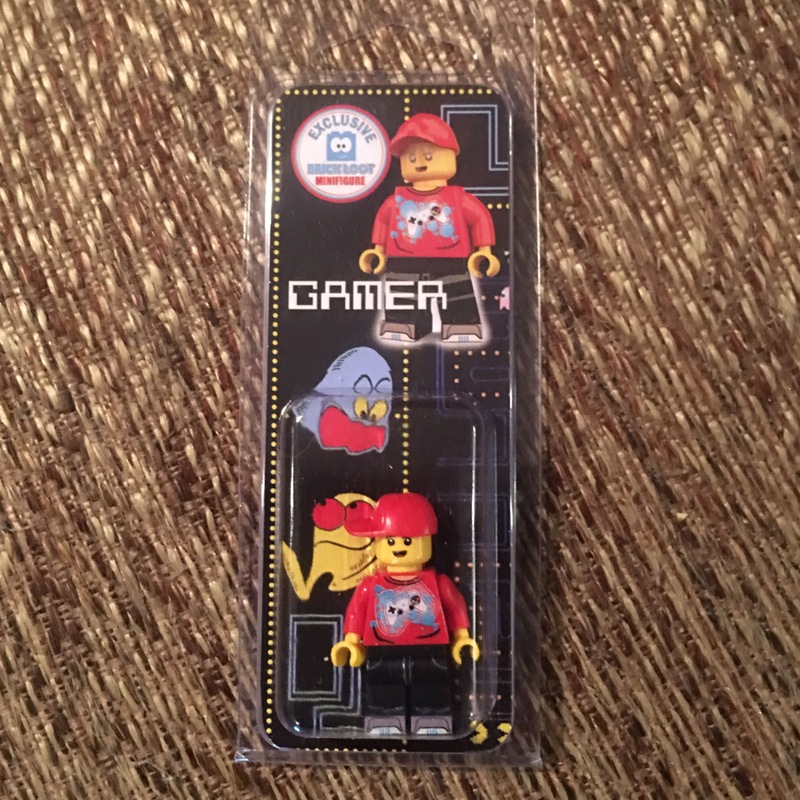 Good – the little figure heads will stay inside without falling out. Bad – because it may cause a mess when you try to get the top off. Next up was a 35 piece set that will turn into a little arcade machine once built. The directions are on a large sheet about the size of a 5×7 so they are easy to read and follow. 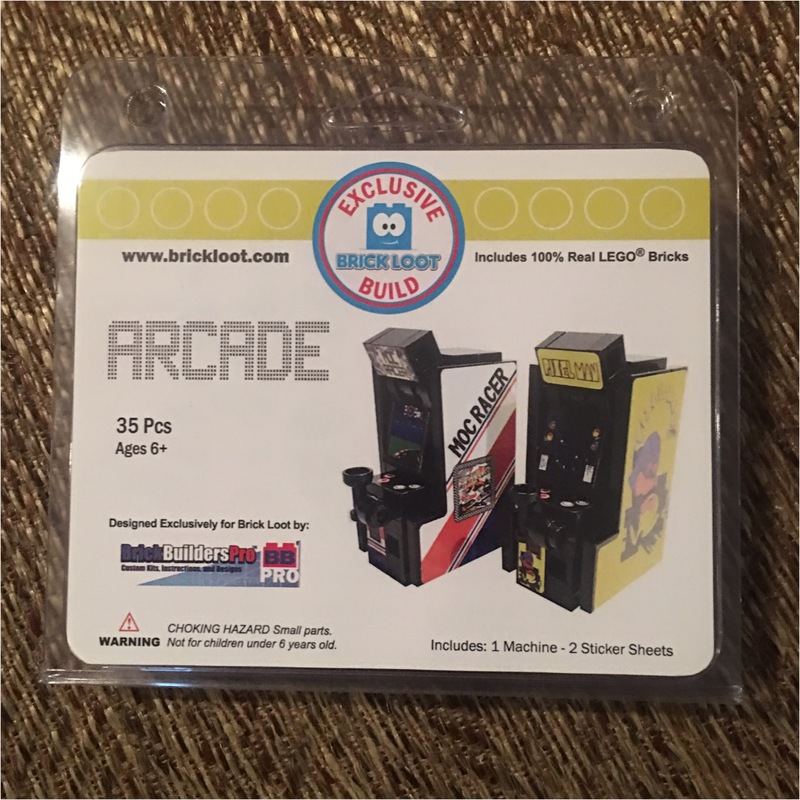 I appreciate how it gives step by step directions on how to build the arcade machine over several pieces. I found it easy to follow. 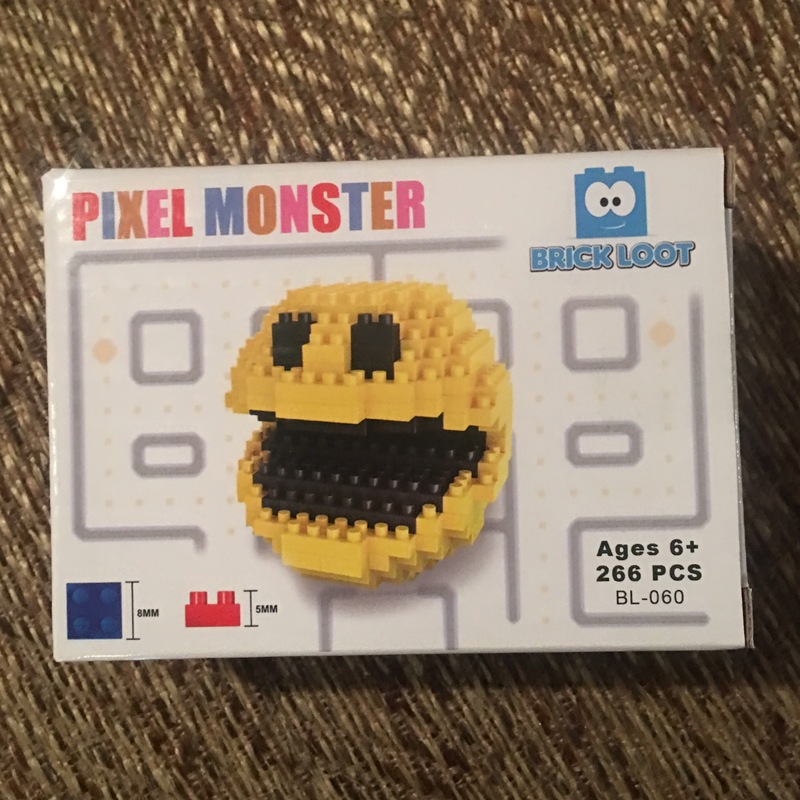 The third item, a pixel monster! Peyton was very excited for this one. She loves emoji’s and the pixel monster reminds her of an emoji. I’m sure she’ll spend the remainder of the evening putting this together. And our last treasure this month was a little guy! Peyton loves having characters to play with. Was this worth the $27? Yes, I think so. Brick sets are expensive. So getting four projects to work on was worth the $27. Each month a different box full of bricks will be delivered. Brick loot is appropriate for ages 6 years old and older.